San Francisco's Premier Medical and Recreational Cannabis Dispensary SUPERIOR SELECTION - BEST SERVICE - VAPOR LOUNGE Bloom Room proudly offers the very best selection of cannabis flowers, concentrates, edibles, and tinctures available in California. 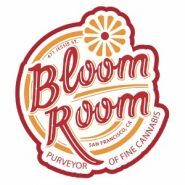 Bloom Room is dedicated to providing premium medical-grade cannabis to its members. We strive to educate our community of members about the medical science of cannabis, and to offer a comfortable, clean, and safe environment for them to access their chosen medicine. Bloom Room embraces the will of the people, and we hope to stand as proof that a professional cannabis collective is not just good for the health of its members, but for the community in which it serves. BLOOM ROOM DAILY DEALS: Mix-It-Up MONDAYS - Buy any Regularly Priced Eighths, Get 15% Off; Tasty TUESDAYS - 15% off all Edibles Reefer WEDNESDAYS - 15% off all Pre-Rolls CBD THURSDAYS - 15% off All CBD Products Focus FRIDAYS - 20% off all Concentrates, 10% off all Cartridges Super SATURDAYS - 10% off Concentrates, Cartridges, Edibles and Pre-Rolls Double Down SUNDAYS - 20% off Concentrates, Cartridges and Edibles.